One of the places to find Painted Trillium is at the beginning of the Kanati Fork Trail in the Great Smoky Mountains National Park. 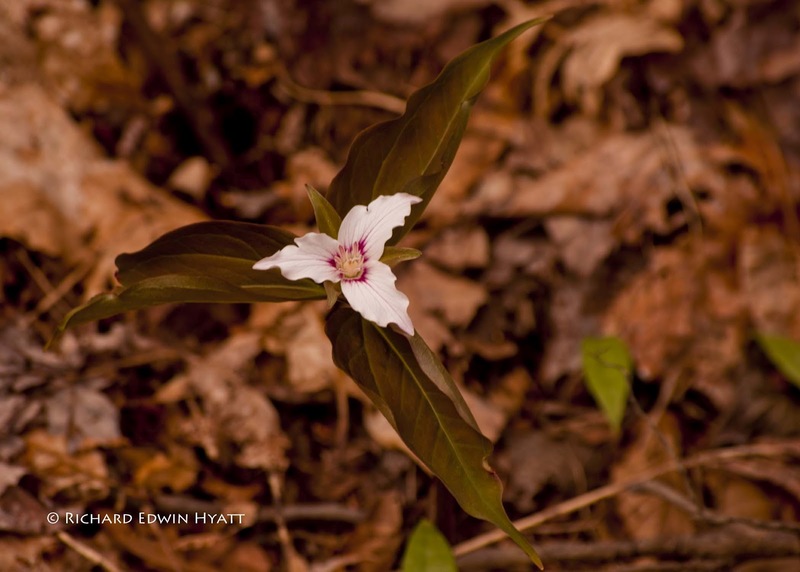 This fact is fairly well know to people who visit the park looking for Trillium. I think a little lesser known is the fact that instead of the Kanati Fork Trail, just go across US 441 and on that side cross the small foot bridge and follow the small trail that leads to the left without crossing the main stream. Here look carefully for the small but, most beautiful Painted Trillium, Trillium undulatum. Be careful not to step on them or the many other trillium and wildflowers. At first they may be hard to see until you can recognize them in the wild. 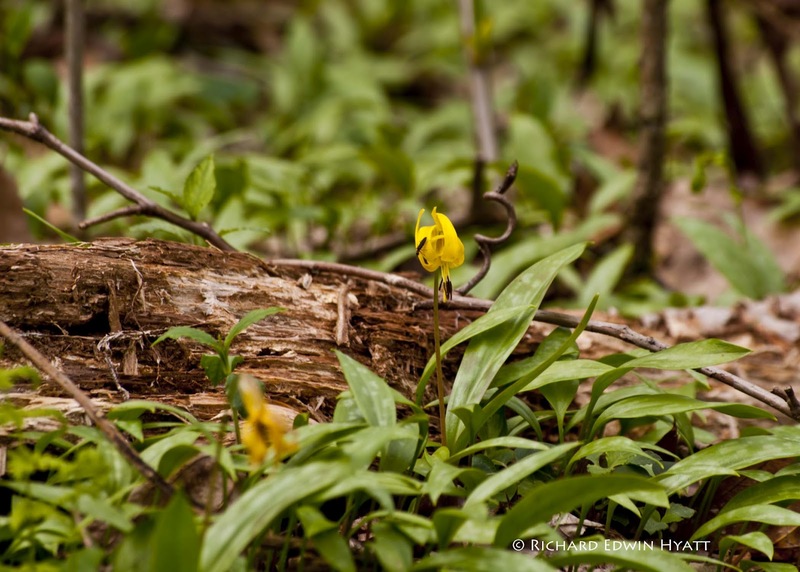 To the left is a photo of a Trout Lily, Erythronium americanum. 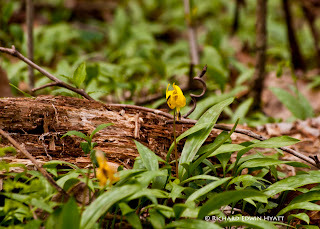 Trout Lilies grow at the beginning of the Kanati Fork Trail. While they are not a trillium I added them here because they often grow near trilliums. And, they are in abundance at this location. The name, Trout Lily is named after leaf of this plant because of it's resemblance to a trout. 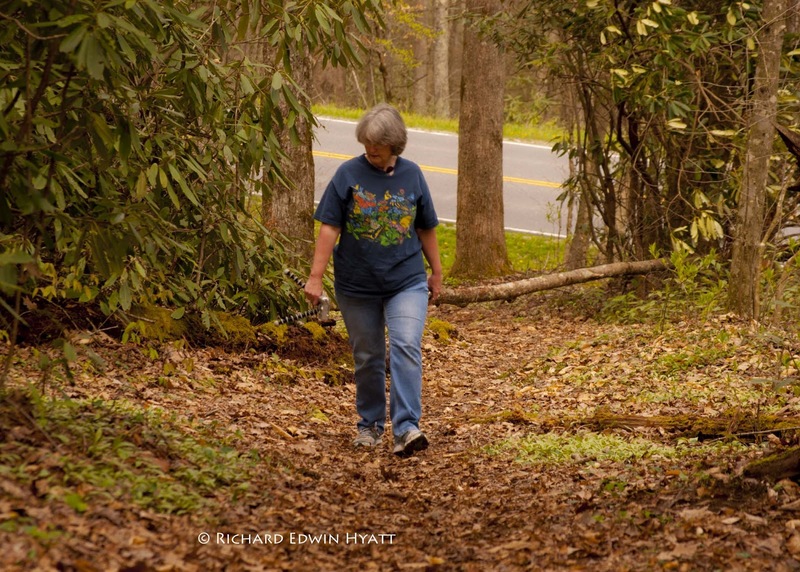 Below Jean starts up the Kanati Fork Trail looking for the small Painted Trilliums and other wildflowers.